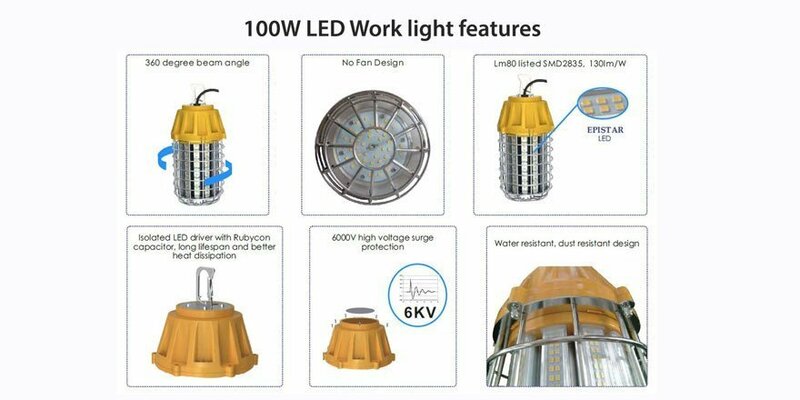 The new 100 Watts LED (temporary use) construction work light with 12,000LM that has equivalent light output of a 300W (MHP) Metal Halide. 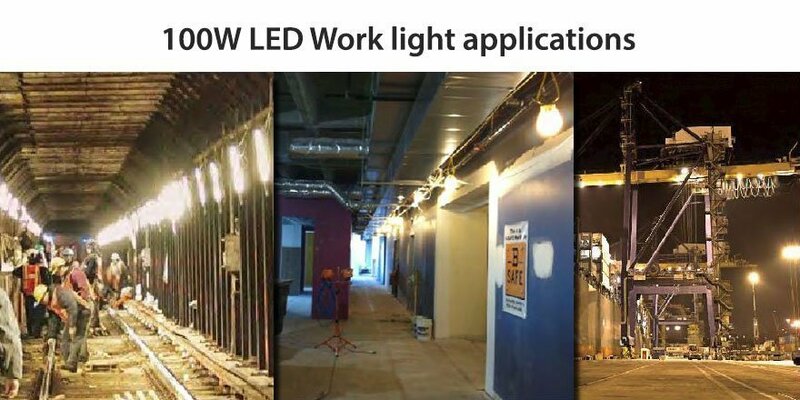 Rugged design to withstand the harsh environment of construction sites with high light output that is needed for job sites. 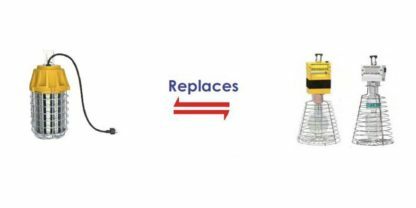 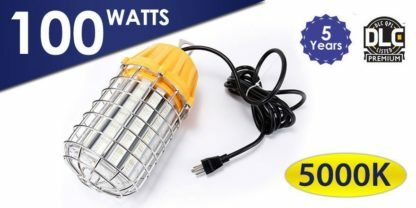 Solid state LEDs eliminate the hazards of broken bulbs. 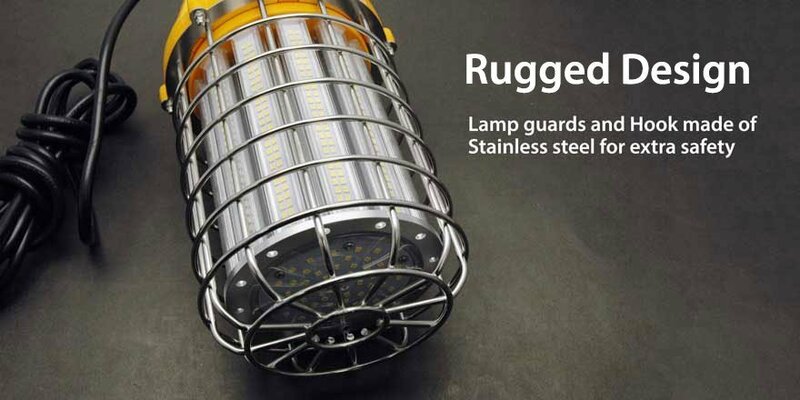 The LED Corn Work light uses stainless steel metal lamp guards and hook for extra safety in work environment. 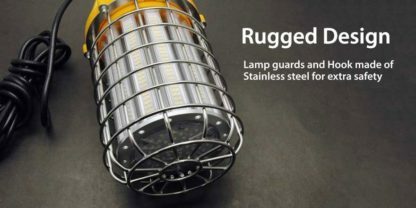 Moreover, it does not uses any fans for heat dissipation. 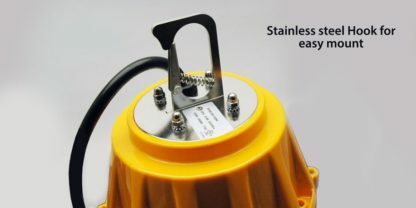 The internal driver uses Rubycon capacitors for a long life of the fixture. 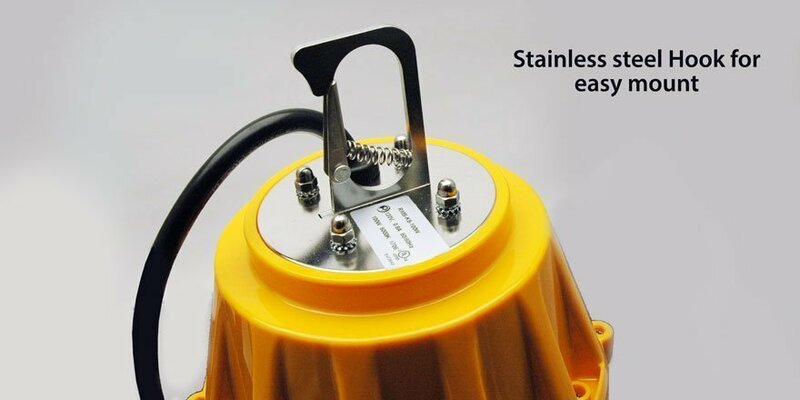 120VAC plug, easy to install and light – Clip and uses. 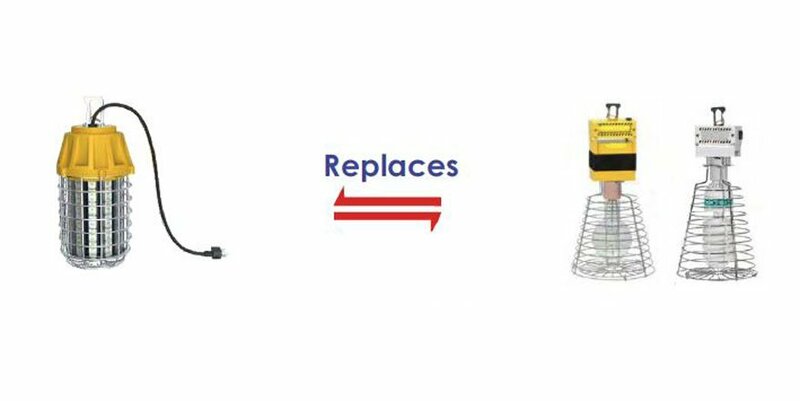 Ideal for use in construction,mining and other work environment where temporary light is required for ease of uses and install.